Specialty: Sold computers, components, software, and information technology services including Computer servers and workstations designed after it's RISC-based SPARC process. This Lucite paperweight features a real Sun MicroSparc microprocessor chip embedded inside. 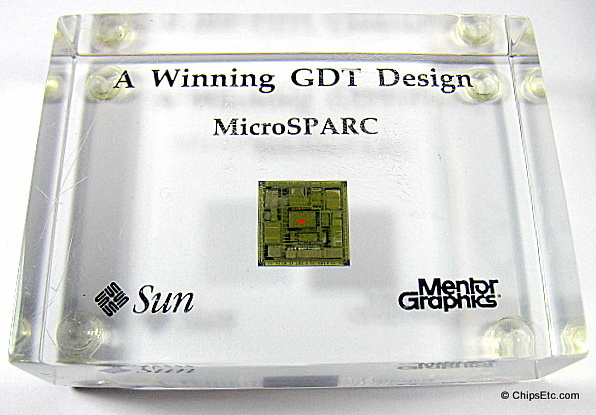 Mentor Graphics, a leader in electronic design automation software, developed the Graphic Design Tools (GDT) software that was used by Sun in designing the MicroSparc Microprocessor's architecture. The 32-bit, 40-50 MHz MicroSparc CPU was developed by Sun for use in Engineering workstations and embedded systems. 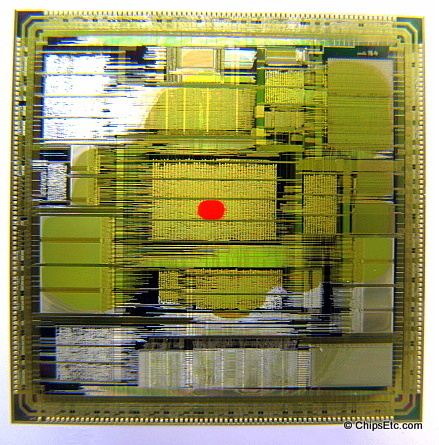 The MicroSparc's silicon chip was manufactured by Texas Instruments as model "TI TMS390S10" and had 800,000 transistors, using a .8um manufacturing process.